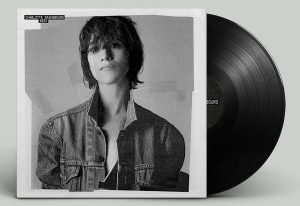 Such is the sly enchantment of Charlotte Gainsbourg, who, at 38, is past the retiring age of tiny dancers. She’s also past the designated years of it-girl- ness and fashion muse-ment. She’s past flaunting her album (IRM, recorded with Beck) and her latest movie (Antichrist from Lars von Trier, for which she won best actress at Cannes). Yet here she is. The daughter of Serge is now flaunting Balenciaga (the perfume) as she has done Balenciaga (the clothes) for years. She still looks the ingénue and her every song begins like she’s taking her first breath on earth. She’s poised half-on, half-off a stiff Victorian chair and clad in black lace (oui, Balenciaga). Little makeup, no layers. When she laughs – say, at the notion that she might someday, like her mother, Jane Birkin, have a $5,000 handbag named after her – it’s only lightly. A fragility this perfect belongs to the rarest star: one who’s never had to break out to make it. So there at last you see Charlotte, but through a glass bottle, dimly. that ad for balenciaga is indeed eye-catching! !